Majorca presents brilliant opportunities to realise your sporting ambitions. Just choose from a wide range of activities. You will get your share of entertainment and exercise regardless of your age and level of fitness. Today, there are many companies specialising in outdoor activities. Even beginners can master water, land and air. There is also a great variety of activities for those who like to combine sports with a good dose of excitement. 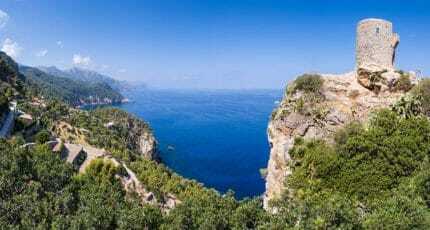 The Balearic Islands have discovered the importance of adventure sports for tourism. Many institutions perceive active tourism as a key factor for the future development of tourism on the island. The island offers much more opportunities for outdoor sports than just golf and cycling. There are virtually no limits to your imagination. If hiking bores you, why don’t you try descending canyons and discover the islands’ intact nature that way? Alternatively, you might want to add spice to your cycle tours taking stony downhill slopes. And if you don’t get a kick out of lying on the beach, you can discover the underwater world equipped with snorkel and fins. For an even more exciting adventure, just add an air tank and off you go exploring wrecks and subterranean scenery. The island boasts more caves than any other place in Europe and if you don’t fancy a walk through the caves along with a bunch of other tourists, just get yourself a lamp and a wetsuit and swim through crystal clear underwater lakes. Or you can get a totally different view from high up in the sky from a balloon ride. If you seek a bit more of a thrill, enjoying the view from a hangglider or a microlight might be the right option for you. 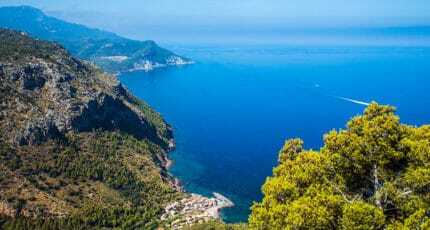 The possibilities for the socalled “nature tourism” are on the increase for the Balearic Islands, amounting already to 8.5 per cent of the whole range of activities designed for tourists on the islands. Nature tourism is principally aimed at tourists between 30 and 40 years who usually organise their trips individually rather than through tour operators. As the islands’ climate offers yearround attractive conditions for outdoor activities, it is also hoped to contribute to a more even distribution of tourists throughout the year, thus relieving pressure during peak season. We are now going to take a closer look at some of these extraordinary activities, which will give you plenty of ideas for exciting days. In Mallorca, diving is becoming more and more popular. There are many diving schools, run by professionals who have turned their passion into a profession. They know and explore their diving grounds and share their favourite spots with their students. Normally, the school’s boat will take you to the diving spot. The island Dragonera alone is surrounded by dozens of such spots. 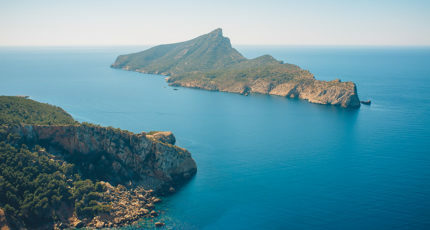 Dragonera is a wildlife sanctuary, thus clear water and plenty of fish are guaranteed. The depth of the dive depends on the student’s experience. If you already have diving experience, you can look forward to exploring shipwrecks, underwater caves and steep rugged rocks. 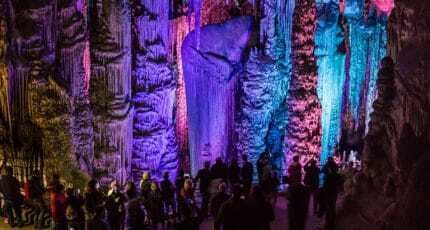 A special attraction in San Telmo is a stalactite cave with an air bubble where you can surface. Most dives go to depths between 15 and 25 metres. But with an experienced guide, you can go as deep as 40 metres. Beginners’ courses are available from about € 280, trial courses including one dive and certification from about € 80 and a single dive with air tank and weight from around 30€. Caving is the adventure for all those who want to get to know Mallorca from a new perspective. Mallorca is renowned all over Europe for its interesting caves. Caving lets you explore caves that are not known to normal tourists and provides an insight into the “other”, unspoilt Mallorca. Even the trip to the cave is an event in itself. You put on your wetsuit at the base and take the motorboat to the entrance of the cave, passing the breathtakingly beautiful rocky coast at Porto Cristo. The entrance is just a small dark hole slightly over the water surface, invisible at first glance. Now off you go into the water, hold on to your torch and swim through the small opening. Although it may seem a bit eerie at first, you will soon be enchanted, unable to stop marvelling at the incredible underwater world while you swim through crystal clear underwater lakes and climb rocks for about two hours. With the torches turned off, you can experience pitch darkness and absolute disorientation. A very special adventure that you can enjoy without being a top sportsperson. From ca. € 45 per person. Have you ever seen a sky over the sea full of colourful spots and below surfers apparently gliding along on their boards? Those were almost certainly kitesurfers. Kitesurfing is a sport everybody can learn. For small, light people a small kite is sufficient. The smaller the kite, the easier you can control it. Because of the moderate waves and wind, Mallorca is the perfect place for beginners. A basic kitesurfing course consists of about six hours, distributed over two days (about 200). Afterwards, you will be able to surf the waves on your own. The equipment for the course is supplied and can also be rented.Trial courses are available from 49. The best beaches for gliding over and on the waves are in Ca’n Pastilla, Alcúdia and Pollença. The colourful balloons have even established a record on the island. Mallorca’s biggest balloon – with a height of 38 metres – has made it into the Guinness Book of Records as the biggest balloon in Spain. A normal balloon ride takes about an hour. Moreover, there are all kinds of special rides, such as rides over natural resorts, full moon rides, night and beach rides. There are also several balloon regattas, for example the regata internacional “Bahia de Cala Millor“. It takes place every year for five days in October, normally starting in Manacor. A One hour balloon ride is available from €280. It’s just you and the elements Hang-gliding, flying without control devices, is the most natural way of flying. Here it all comes down to the pilot’s expertise, nature and their harmonious interaction. You steer with your body, and it is this special form of controlling the flight that provokes the feeling of freedom and adventure, which hang-gliders radiate. The possibilities of hang-gliding are frequently underrated. But with the right weather conditions, you can fly for hours and cover hundreds of kilometres. Hang-gliders virtually take off – normally off a ramp. The best places are Bunyola, Alcúdia, Ermita de Betlem and the steep coast of Cap Blanc. In Alcúdia, beginners can take a tandem flight. A beginner’s course including material is about 600 eur. Diving in the depths of a canyon, knowing that there is no way back is adventure and natural experience at the same time. Canyoning comprises descending, climbing and audacious jumps. Beginners can start in easy canyons while experts seek new challenges in canyons like Sa Fosca at the reservoir Gorg Blau. The 5,000 m canyon requires 7-10 hours. If you want to venture into the famous canyon, don’t forget to bring two 25 metres ropes, a wetsuit and lamp. We are supposed to meet somewhere below the large bridge in Porto Cristo for our adventure trip into the cave. In fact, this enormous bridge, crushed in between the houses in Porto Cristo, is impossible to miss. The bridge runs over one of the calas, which is crowded with small fishing boats. This is where our meeting point Skualo is: wetsuits are hanging in the courtyard and even the shop, decorated with lots of photos, conveys a spirit of adventure. With twinkling eyes, our guide provides us at once with wet suits and rubber gloves, and more or less skilfully we proceed to put them on. Laughing, we enter the rubber boat in our new outfits, unrecognisable even to ourselves. As real adventurers, we are not sitting inside the boat but outside on the rim, bravely defying the waves on our ride to the cave. Once we have arrived at our destination, there is no backing out: equipped with a diving mask and a torch, everyone has to jump into the water. Our guide helps us through the gap leading into the cave. This first opening seems a bit scary as lots of algae are drifting in the water and the ground is very slippery. But suddenly, everything becomes huge and vast. We are in the first large cave. A subterranean beach with bizarre rocks evokes pirates and treasures. We scale rocks, climb around stalagmites and stalactites and swim through crystal clear subterranean lakes. Soon everyone is under the cave’s spell and after two hours we have become passionate cave explorers who daringly jump head first from the rock into the unbelievable clear, cold water. 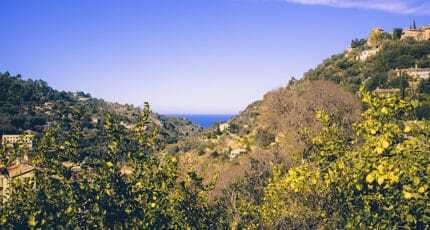 We hope you found this article about Mallorca: The Perfect Place for Outdoor Excitement useful and that you have many memorable experiences as a result of our recommendations. 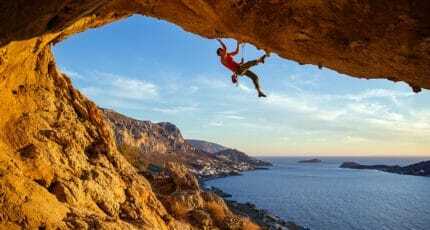 We hope you have found this article about the Mallorca: The Perfect Place for Outdoor Excitement useful and that you have many memorable stays in Mallorca as a result of our recommendations.